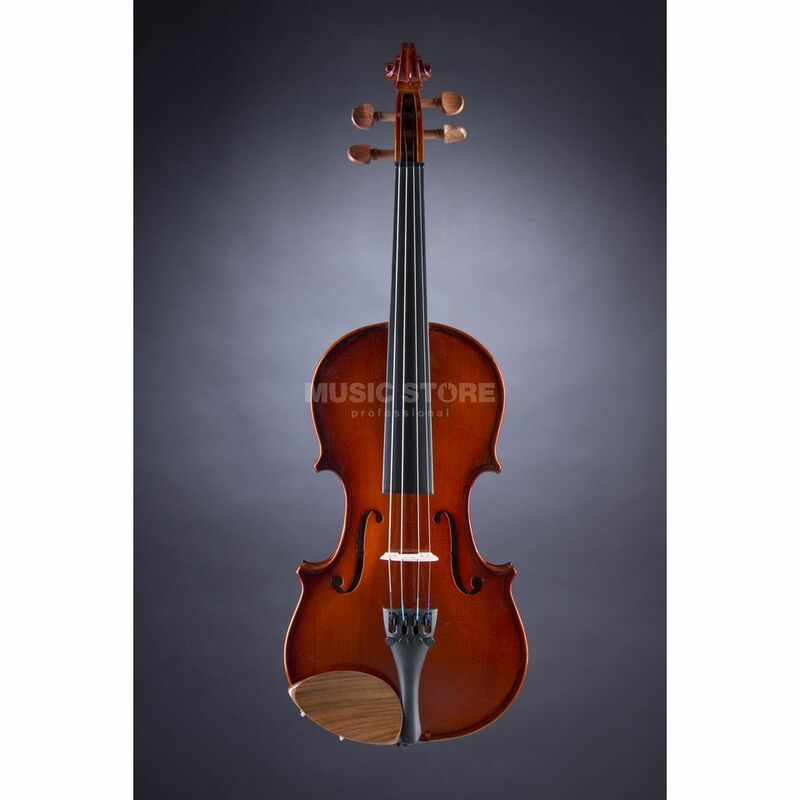 The Primavera 90 1/2 violin outfit VF002N is an entry level instrument that includes violin, case, bow and accessories. The Primavera 90 boasts unique features for a violin in this class and is designed with consultation with music education professionals. The Primavera 90 1/2 violin outfit has a hand carved maple and spruce top with inlaid purfling and a fingerboard made from ebonised hardwood. The tuning pegs are made from rosewood and the topnut from ebony. The Primavera 90 1/2 violin outfit VF002N includes a hardwood bow with ebony frog, lightweight blue Styrofoam case with music pocket, backpack straps and rosin.